WHO CAN FORGET THE ARMISTICE DAY BLIZZARD OF 1940? https://ifmyhearthadwings.com/wp-content/uploads/2019/03/blizzard-small.jpg 200 276 Nadine Taylor https://ifmyhearthadwings.com/wp-content/uploads/2018/03/Nadine-Taylor_logo.png Nadine Taylor2018-11-11 19:33:412019-03-24 18:26:00WHO CAN FORGET THE ARMISTICE DAY BLIZZARD OF 1940? How Rosie the Riveter Changed Our World – Or Began the Process! https://ifmyhearthadwings.com/wp-content/uploads/2018/08/Rosie-2-1.jpg 357 347 Nadine Taylor https://ifmyhearthadwings.com/wp-content/uploads/2018/03/Nadine-Taylor_logo.png Nadine Taylor2018-08-08 14:06:102018-08-08 14:32:55How Rosie the Riveter Changed Our World - Or Began the Process! The Greatest Generation: What We Loved About Those WWII Guys! The guys from the Greatest Generation (those who were kids during the Great Depression and fought in WWII) are just about gone. And while there’s much to admire about them, here are 10 characteristics that made them especially noteworthy. 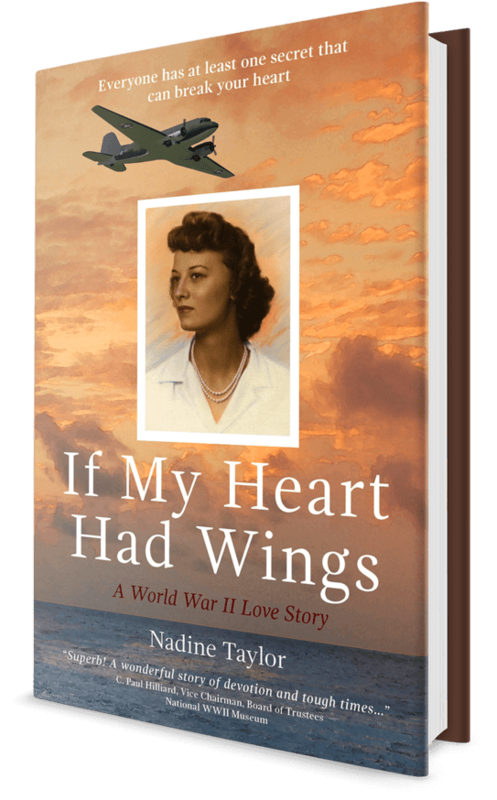 https://ifmyhearthadwings.com/wp-content/uploads/2019/03/solider-small.jpg 288 288 Nadine Taylor https://ifmyhearthadwings.com/wp-content/uploads/2018/03/Nadine-Taylor_logo.png Nadine Taylor2018-07-30 16:02:462019-03-24 18:25:33The Greatest Generation: What We Loved About Those WWII Guys! Copyright © 2018, Nadine Taylor. All Rights Reserved.